Jenny McCoy Harrison was born in Fort Worth, Texas and raised in Corpus Christi, Texas. 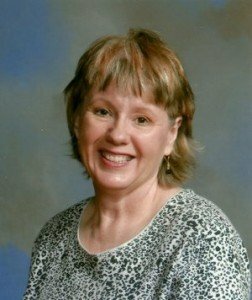 She moved to the central part of the state in 1977 to pursue a bachelor’s degree in Speech Language Pathology at Howard Payne University. Soon after graduation, she accepted her first teaching position in Hamilton, Texas at the Hamilton Special Services Cooperative. She later returned to college to complete her Masters and license in counseling. 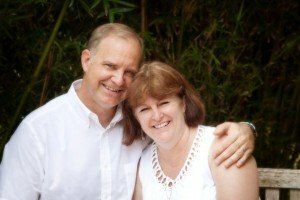 She is currently the owner and operator of the Heart of Texas Speech and Counseling Center in Gustine, Texas. It was in Hamilton that she met and married her husband/best friend, Dale Harrison. They are the proud parents of their son, Daniel Harrison and daughter-in-law Ingrid Espinal de Harrison. Jenny spent much of her practicum hours working with women’s issues, including 10 years of volunteer and internship at a nearby domestic violence shelter. Her aspiration to support women expanded as Jenny prayerfully considered an invitation to a women’s speaking engagement in 1996. Since that time, and several speaking engagements later, Jenny started Breath of Life Women’s Ministries in an endeavor to reach out to women who may be struggling emotionally, spiritually, or possibly transitioning into a new season of life. With humbleness, genuineness, humor, and the written word of God, Jenny’s goal is to reach out to women as they strive to strengthen their union with Christ, thus deepening relationships in the home, community, and the world. Welcome to my hectic, crazy, God loving life. 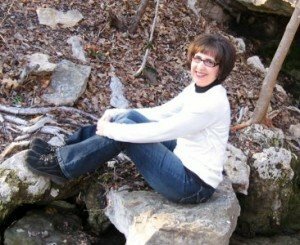 I am a wife/mom/sister/friend/writer/ speaker who, in a moment of surrender, met God at 50. My sweetheart husband, my blended family of 10 children, my 9.75 grandchildren, and my travels give me plenty to thank Him for every single day. I spent 50 years running from God. Sin littered the landscape of my life. There were not enough hours in the day to clean up the mess I had made of things. The only words that rang in my head were “you’re not worthy” “you’re a sinner” “you’re not loved” “you’re useless” “you’re a bad mother, wife, daughter”. No matter how hard I tried, I felt I could not get clean enough to come into God’s presence and ask for forgiveness. I had resigned myself to never knowing what God’s Love felt like. After all, He wasn’t in my marriage, my life, or my heart. Just before my 50th birthday, I heard the song “I Can Only Imagine” by MercyMe on a rock and roll radio station. Shortly afterward I found myself at an event where Jim Caviezel bore his testimony about his part in the movie Passion Of The Christ. Suddenly, in an instant, my heart opened and Christ came in. The God shaped hole that was my entire life was filled to the brim with His mercy and grace. All that I was disappeared, leaving only a yearning to make up for what I had been missing. I have been forgiven, changed, set free, and filled with a desire to share Him with every woman I meet. When I am not at home killing houseplants or making excuses about not doing the housework, I can be found driving my big truck, towing my 32ft fifth wheel, accompanied by my faithful sidekick Silly Dog as we visit sweetheart (he flies to offshore oil rigs), kids and grandkids (scattered throughout the US), small country churches, and off the beaten path tourist destinations. I love it when I get to meet women from all walks of life who are willing to share their stories with me. I have been so blessed to be able to share my testimony and God’s gifts with women across the country. I have learned that every day is a new beginning, a clean slate, a new adventure filled with God’s gifts. It is my desire that every woman finds the unclaimed gifts that God has for her. My ministry is to share with every woman that it is never, ever too late to meet God for the first time or come back to Him after a season of brokenness. His arms are open wide. Give Him your heart and claim the gifts He has created just for you. Freida Harrison is a wife, mother, and grandmother who retired from her profession as an elementary Reading Teacher several years ago. Before teaching in the public school system, she was a stay-at-home mom for sixteen years. She has named her new job “Miss Beck and Call” as she is helping care for her elderly mom, managing the family farm, and enjoying precious grandchildren. Freida’s aspiration is to inspire others to observe, examine, and contemplate how God works in our daily lives and to become intentional about seeking a close relationship with Him. Ingrid is the newest member of Breath of Life Team and the head of the Spanish ministry. 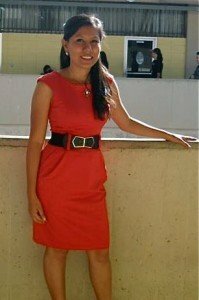 She is from Choluteca, Honduras and graduated from the University of Honduras in Tegupigalpa with a Bachelors degree in psychology.